Fort Cochin, India is a fascinating mishmash of cultures. 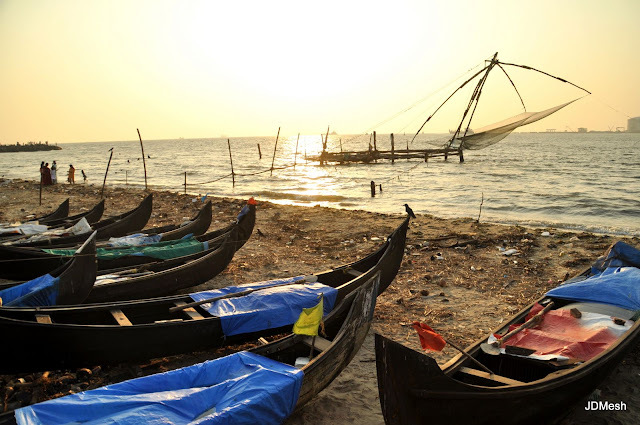 Located in the southern Indian state of Kerala, between the Arabian Sea on one side and a maze of backwater canals on the other, it has been the most important port on the Malabar coast since the mid-fourteenth century. 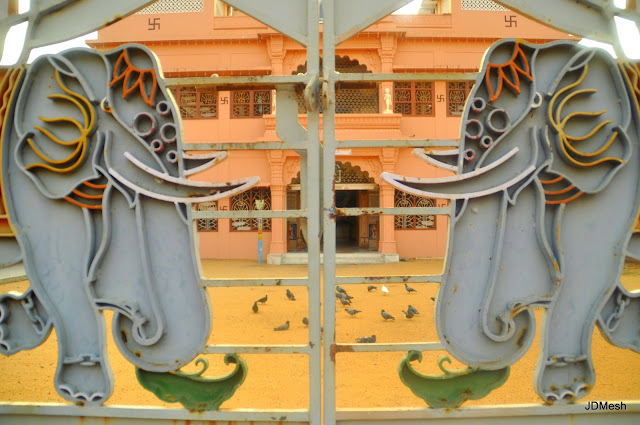 Where else can you see Chinese fishing nets rubbing shoulders with a Portuguese palace, Dutch houses, European churches, Middle Eastern spices, Jain temples, a British park and a Jewish synagogue? 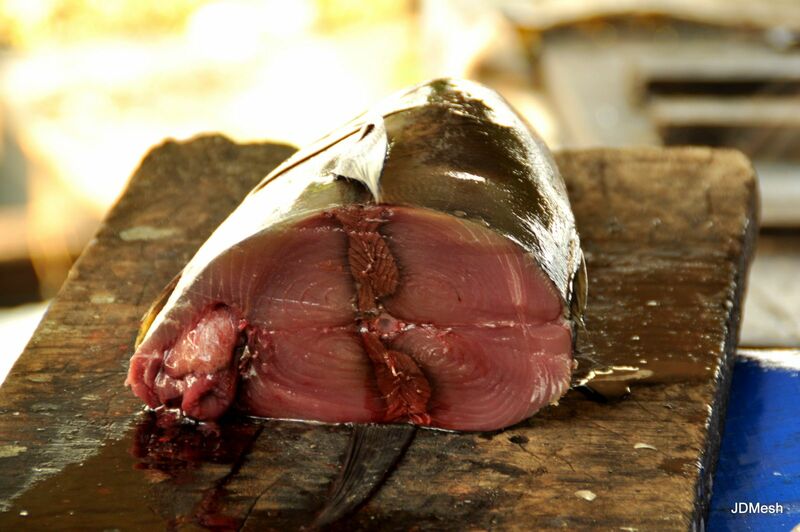 Fishermen use the same technique today as they have for hundreds of years. 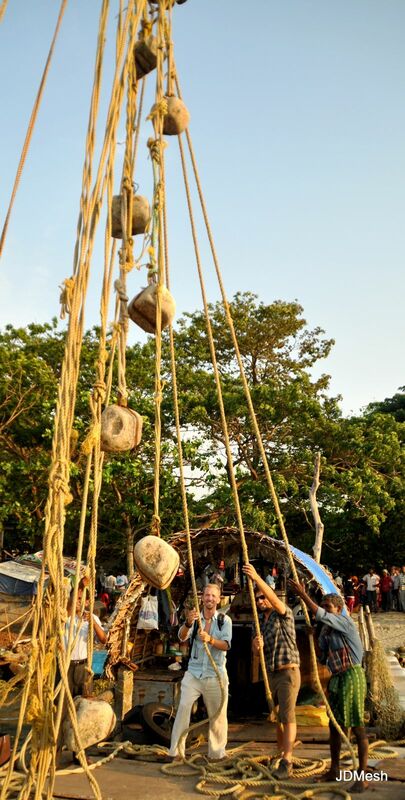 Dave and Russ try their hand at hauling in an empty (but still super heavy! (so they claim)) net. (For a small donation, of course). And just behind the fishing nets, fish vendors display their wares. Most of the other fish, not on ice. This fellow really, really, really wanted Dave to buy his giant fish. I think this is the cutest fish face I have seen outside of a Disney movie. No way I could chow down on him. 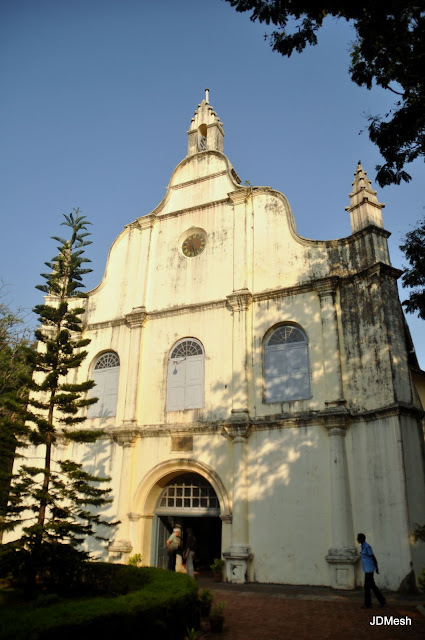 The oldest European church in India. Indian families enjoy the ocean. In their jeans. 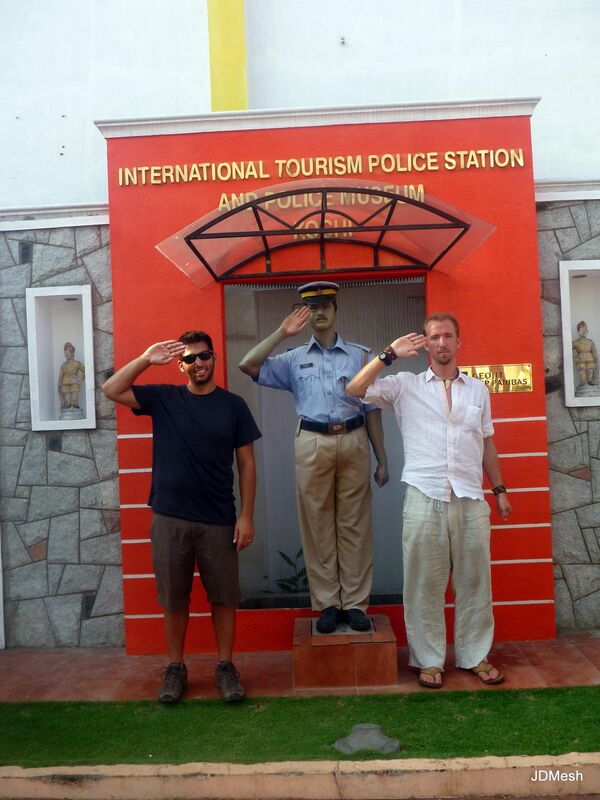 International Tourism Police Station and Police Museum? 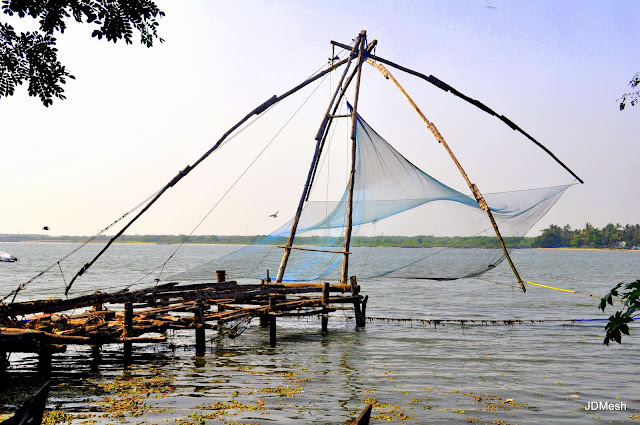 Clearly Cochin (or Kochi, as it is also called) is rich with history and culture. 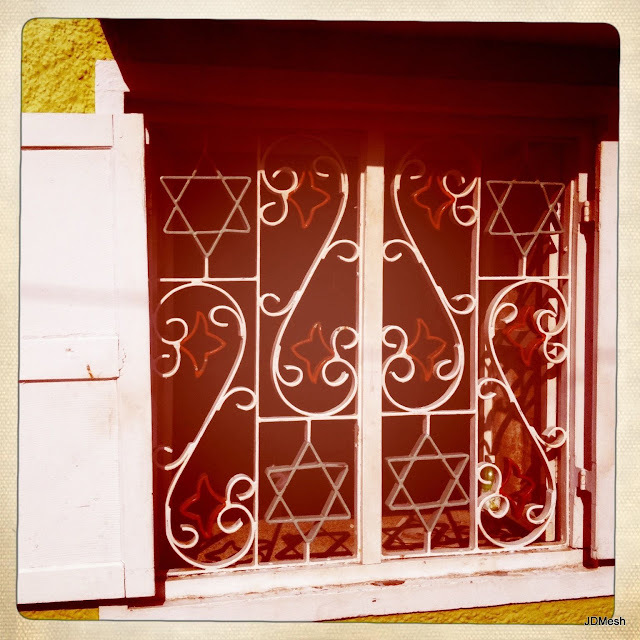 But it is especially - and surprisingly - rich with Jewish history and culture. Jewish people first came to India as early as in the time of King Solomon, but after the destruction of the Second Temple in 70 CE whole communities immigrated to Cranganore, near Cochin, where they were granted religious freedom and special property rights. When flooding silted up the port at Cranganore in the fourteenth century, the Jewish community (along with all of the trade) moved to Cochin. Just two Jews, hanging out on Jew Street, located (of course) in Jew Town. 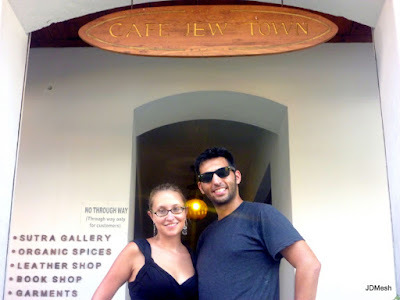 Disappointingly, Cafe Jew Town did not serve bagels and lox, matzoh ball soup or noodle kugel. 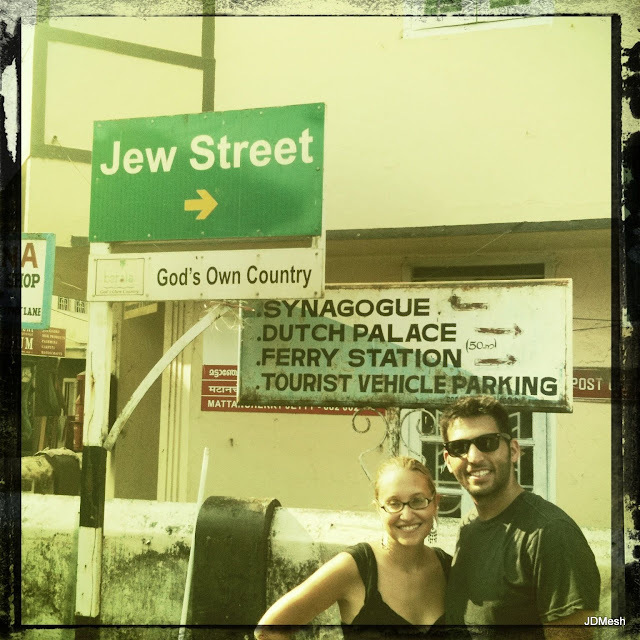 In the sixteenth century, European Jews fleeing the Inquisition settled in Cochin, dividing the Jewish community into "Black (Malabari) Jews" and "White (Paradesi) Jews." The Paradesi Jews built the Paradesi Synagogue in 1568 - the oldest active synagogue in India and the entire British commonwealth - and denied access to the Malabari Jews, dismissing them as racially inferior. This schism continued for centuries, and the Jewish population of Cochin slowly dwindled, culminating with the emigration of most of its people to Israel. there is still plenty of evidence of the area's Jewish past. Today, there are only a few dozen Jews remaining in Cochin, and even though the Paradesi Synagogue is the only one still functioning, there are not even enough worshippers to make a minyan. 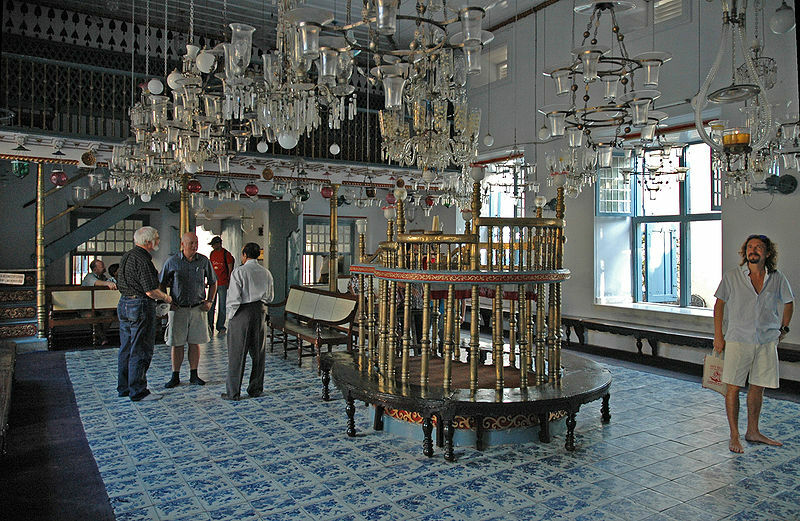 The synagogue is open to visitors (although there is no photography allowed) who must enter barefoot and modestly covered. 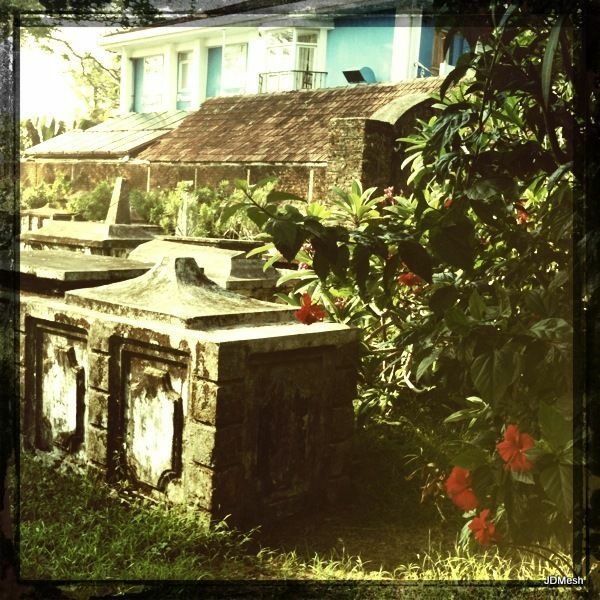 There's also a somewhat run down cemetery, and a short but interesting exhibit about the history of Cochin's Jews. The notoriously surly ticket taker (who even has her own wikipedia page!) is the only remaining Cochin Jew of childbearing age. Her refusal to marry a cousin in order to ensure the survival of the community has led to accusations that she is responsible for "the end of thousands of years of Jewish history." No wonder she's in such bad spirits. [Photo credit: Wikipedia. We wonder who broke the rules to take this photo. We hadn't expected that, in our travels around the largely Christian state of Kerala, we would learn so much about our own peoples. Now, when Indians and Nepalis point to Dave and ask, "Kashmiri boy?" he can respond, "Cochin Jew." You can read more about the Cochin Jews at Wikipedia, World Monuments Fund and the Jewish Virtual Library, and if you're really interested, several books have been written about the topic, including The Last Jews of Kerala (which I haven't read). 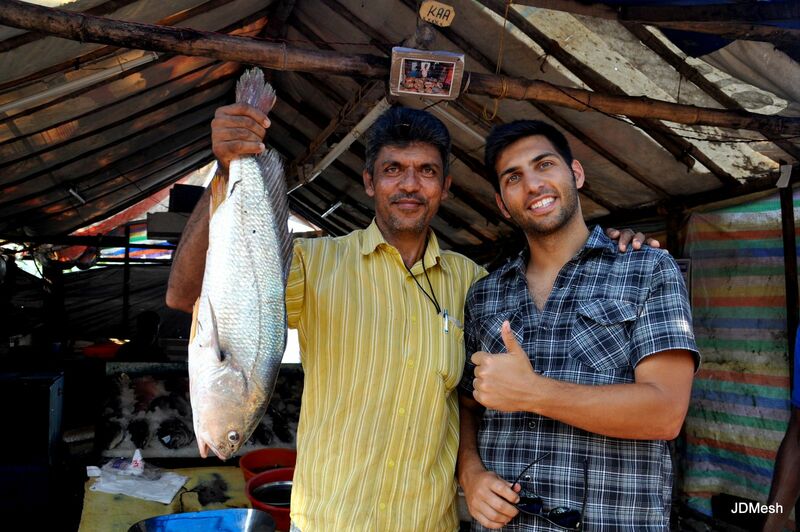 All of our Cochin photos are available here.